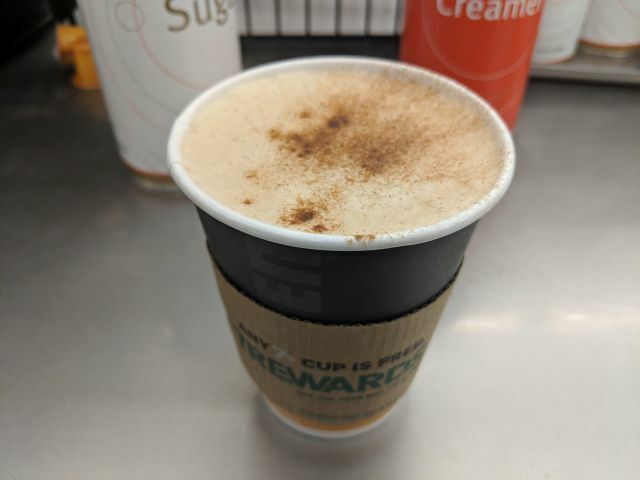 7-Eleven's Chai Tea Latte features a combination of black tea, milk, and sweetener flavored with a blend of cardamom, cinnamon, ginger, and cloves. I paid $1.69 for a 16-oz small cup. 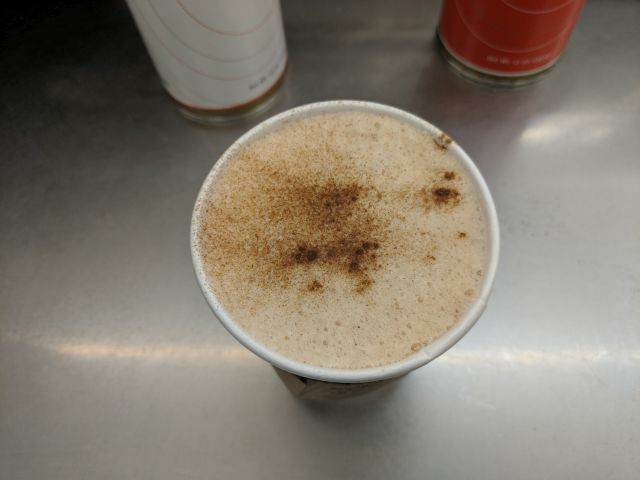 They showed what looked like cinnamon on top in the product photo and they have cinnamon readily available at the drink station so I gave my Chai Tea Latte a quick dusting. Between the cinnamon on top and the various spices in the tea itself, there's a decent spiced flavor to the drink. More so than I've gotten at a number of cafes (which more often than not just tasted like sweetened warm milk). Beyond the spice, there's a nice balance of milk, tea, and sugar. Taken altogether, 7-Eleven is my new go-to for a chai tea latte. It might not be the most "authentic" rendition (it probably needs a stronger dose of tea for that) but it hits the right notes, is convenient, and is fairly inexpensive.